The sugar is a double-edged sword because it is indispensable to our life, but large doses can be very damaging. This substance is a great source of energy, very necessary for our brain; but, in addition, it presents other benefits much less known. For example, it has a great utility as a disinfectant in the treatment of ulcers and other types of exudative wounds. Healing through the use of sugar is an ancient tradition that has been used by both Native Americans and the different tribes of Africa. A series of tests were conducted in hospitals in the UK to determine if there is any truth behind the idea of using this product to treat wounds and relieve pain. After a series of tests, the treatment had been a success. A study by the University of Wolverhampton also confirms that sugar is a powerful natural antibiotic that helps in the treatment of wounds and ulcers. It accelerates healing and reduces pain. Moisés Murandu, professor of adult nursing at the University, explains that since his childhood in Zimbabwe, he observed how his father used sugar to heal injuries and reduce the pain caused by them, so it seemed an alternative applicable to patients at the Moseley Hall Hospital. To treat a wound in this way, you need to first clean the wound well with a mild soap and warm water, then dry until you are sure there is no moisture left. Then pour sugar directly on the wound, making sure it reaches the wound and does not stick only to the surface, if the wound is large, cover it with honey first and then sprinkle sugar on top, the honey will help it remain in place and provide all your healing benefits. Make sure to cover the area with a bandage immediately and secure the bandage with tape. The bandage will prevent bacteria and dirt from entering the wound. And don't forget to change the bandage and to repeat the cleaning and sugar application process, once a day. The specialists explain that the treatment works because the bacteria need water to grow, so the application of sugar extracts it from the wound and prevents the microorganisms from multiplying, so they die and it benefits the healing. 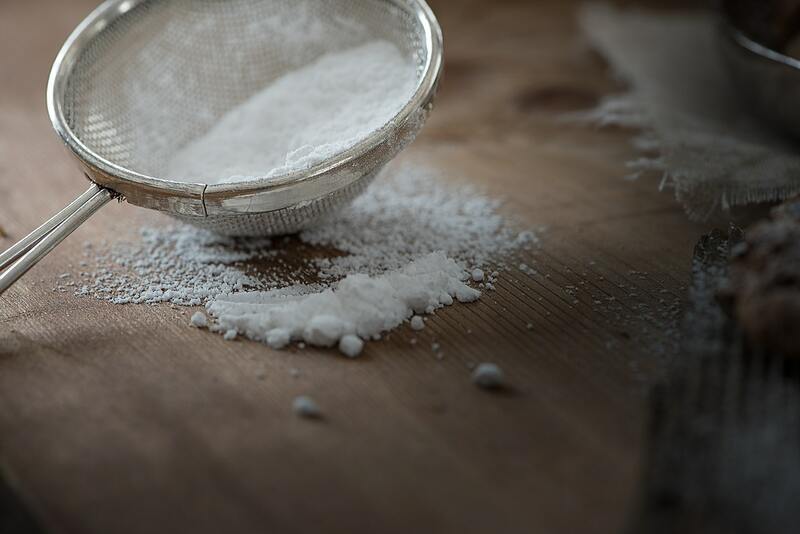 It is a process similar to the preservation of food by salting, but salt in the wounds is not a very good idea, so the idea of using sugar is much better since it's a less aggressive method. It also reduces swelling, stimulates the removal of dead tissue and promotes the formation of connective tissue and new blood vessels. The net result of the use of sugar in wounds is fast healing with minimal scars. Does this treatment affect diabetics? The most obvious possible drawback of this method is, without a doubt, the damage it could cause to the health of diabetics. Therefore, the study included several of these patients among its participants. After curing their wounds, their blood glucose levels were checked and, fortunately, they had not changed, so the treatment was not harmful to them. Sugar is sucrose and you need the enzyme sucrase to convert it into glucose. As sucrose is found in the body, only when the sugar is absorbed by the enzyme, so applying it on the outside of the wound does not affect it in the same way. Be constant, healing with this product is a slow process, and it can take several months for serious wounds to heal. However, you should begin to see positive results immediately, as it will reduce pain and palpitation in the wound and surrounding tissues. Do you want to receive more of these types of interesting information? You can subscribe to this blog.